What causes L5 S1 Disc Protrusion and how to treat it. Do you have pain in your lower back? If you are older or engage in strenuous activity, it could be caused by a protruding disc, also known as a herniated, slipped, or bulging disc. 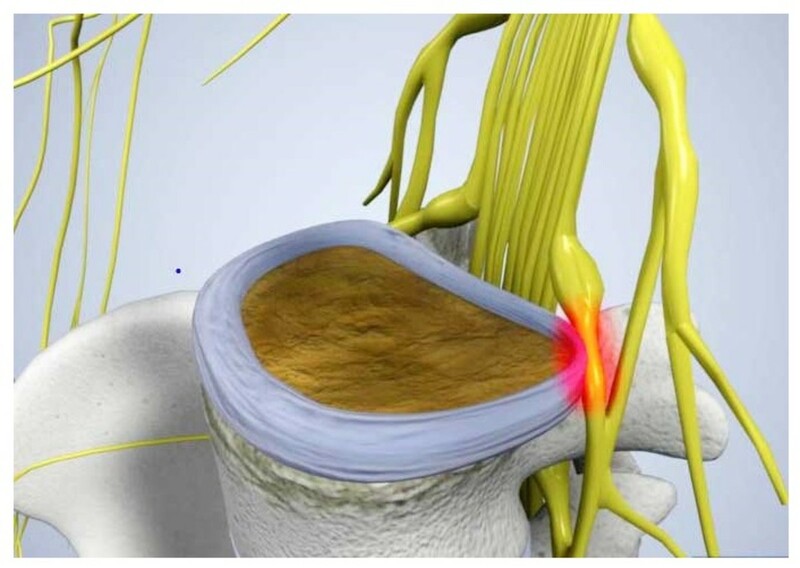 The L5 S1 disc in particular is the most fragile and susceptible to protrusion since it often carries more weight than the other lumbar discs. 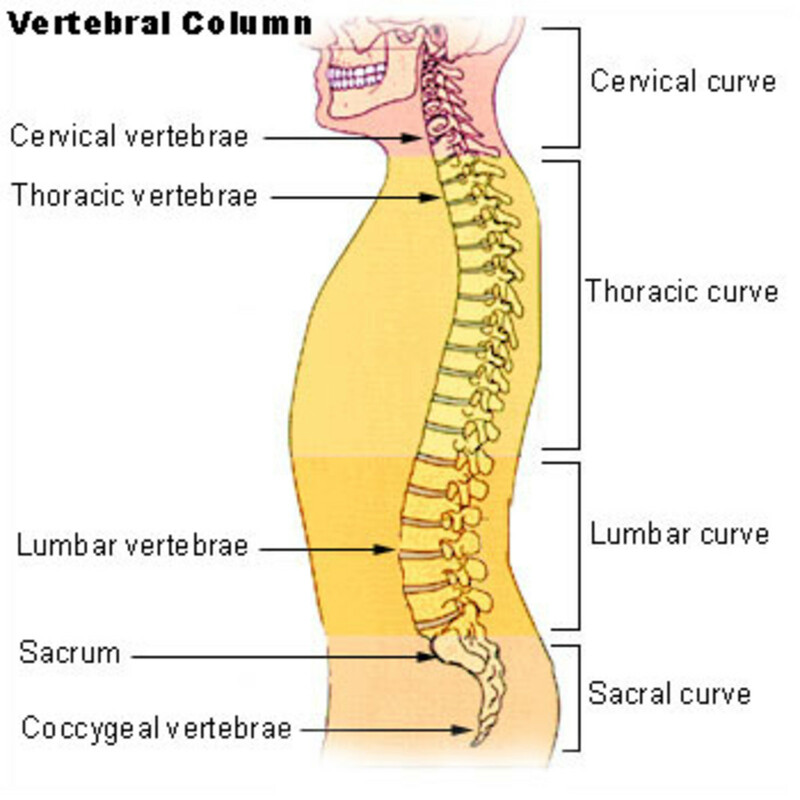 ((L5 is medical shorthand for the fifth vertebrae in the lumbar, or the lower part of the spine, and S1 denotes the first vertebrae in the sacrum. The L5 S1 disc is sandwiched between these two vertebrae). A protrusion is the most common cause of lower back pain. It is very important to take care of an L5 S1 disc protrusion as soon as you find out about it. Not only will the pain become worse and worse without treatment, but a disc protrusion is often just the preliminary phase of a more severe disc disease. Disc Protrusion Definition—What Is a Disc Protrusion? What is disc protrusion? On the left is a cross section of a normal disc; on the right is a cross section of a protruding, or herniated, disc. Your back consists of a column of individual bones, or vertebrae, separated by small cushions known as discs. These discs serve as shock-absorbing pads and are located between each vertebra. When a disc is strained beyond its limit, the outer casing may bulge or rupture. The jelly-like inner substance can squeeze out to the side and touch or put pressure on one of the spinal nerves. This is commonly called a disc protrusion, also known as a herniated, slipped, or ruptured disc. One symptom of disc protrusion is tingling, numbness, or weakness from the lower back down the leg. The pressure on the lumbar spine nerves mentioned above causes pain that can be felt all the way down to the back of the leg. Most back pain does not need medical attention, but if you have back pain that includes weakness down the leg or changes in your bowel or bladder function, go see your doctor. Try to stand up and move as much as possible. Frequently stand up to walk, and consider getting a standing desk. Physiotherapy—Physiotherapists can help you stretch and strengthen muscles in your back. This can stabilize your back and lessen the pressure (and thus, the pain). Stand Up and Move—Sitting for long periods of time puts pressure on the L5 S1 disc. If you work in an office, make sure you frequently stand up to walk around. When at home, do some appropriate (i.e. non-strenuous) physical exercises or yoga poses. Massages—Massage therapy should only be used in addition to other methods. Massages can relax muscles, releasing some of the acute pain, but they do not bring lasting results. Acupuncture—This is a scientifically accepted, very old alternative treatment method using thin needles to stimulate energy points in the body. Acupuncture is a very good option to release the pain temporarily. Medication—Pain medication or muscle relaxants can relieve the pain for the moment. But be aware that such medicine has many side effects. It is imperative to first speak to your physician; you could overdose on or become addicted to pain medication, and over long time periods, it can lose effectiveness. For less side effects try a gentle all natural anti-inflammatory. Cortisone Injections—Also known as epidural steroid injections, cortisone shots contain a local anaesthetic and steroids. The local anaesthetic lasts for about 12 hours, while the steroid helps decrease the nerve irritation and usually starts working a day or two after the injection. 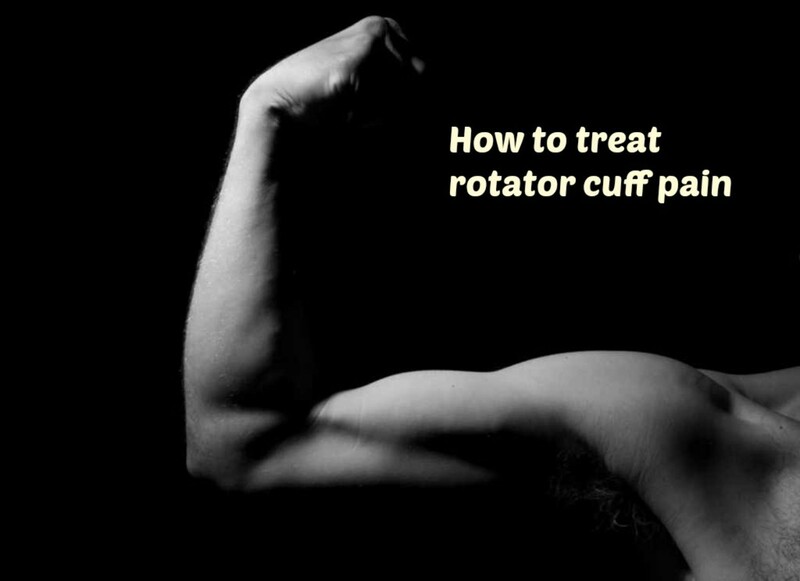 This method is often ineffective in relieving pain, and should only be taken at the recommendation of your doctor. Spinal Decompression—This method uses technology to enlarge the space between the discs by slowly separating the back bones. You go to the doctor's office for between 20 and 30 sessions, during which you are fitted with one harness around your pelvis and another around your trunk. You then lie on a computer-controlled table, and the machine helps take the pressure off of the disc, pulling it back in place and thus reducing the protrusion. The same effect can be achieved at home using an inversion table. Surgery—This option should only be considered when all other treatment options have failed. 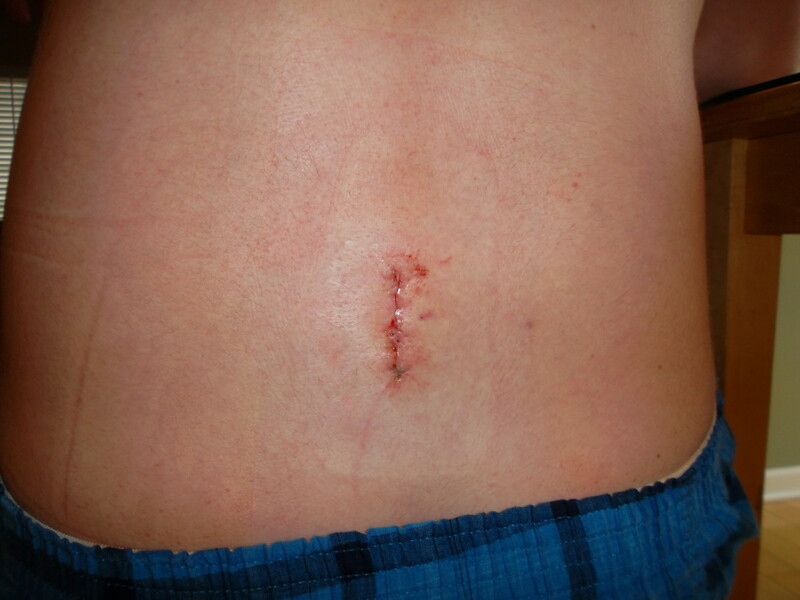 Disc protrusion surgery is a very serious matter and carries certain risks. If you have exhausted other treatments, consult several doctors and read all you can about the procedure. Be well informed and confident that you are doing the right thing. No matter what, if you feel pain in your back accompanied by tingling and weakness in your leg or changes in your bowel and bladder functions, call a doctor. All of the steps described here should only be taken in conjunction with medical advice. Severe posterocentral protrusion of l4-5 disc noted causing severe spinal canal narrowing with compression on cauda equina and moderate bilateral neural foramen narrowing . Mild moderate bilateral neural foramen narrowing is noted at l3-4 and l5-s1 levels. Alignment of spine is normal. Pedicles laminae and spinous provesse are normal. Facet joints shows age related degenerative changes. Visualized spinal cord and conus medullaris sre normal. Both psoas muscles are normal. Both sacroillac joints are normal. Both sacroiliac joints are unremarkable. Saguttal t2 images of dorsal spine show no significant spinal canal narrowing. Above are the findings from mri scanning and we have consulted doctor.he suggested to do surgery..please check this and suggest us.it would be very helpful to us we are scared to do this surgery. Please kindly suggest us. I am sting ..and a government employee..i have also pain of l5 s1 about 4 months.i feel pain in my low back and right leg too..kindly advice me some better therapies or other treatment. No lumbarisation/sacralisation is noted.Mild straightening of the lumbar lordotic curvature.Mild posterior disc bulge is seen at L5-S1causing indentation of thecal sac without spinal canal stenosis.There is no narrowing of bilatera lateral recesses and neural faramina. How serious is the problem and can i stand for 5hrs a day for practical twice a week and 7 hrs class sitting or will it deteriot my condition and how much bed rest i need.Can i do physio exercise with mild pain or not. my MRI study shows loss of normal lumbar lordosis.the signal from the marrow of the visualized vertebrate shows diffuse fatty marrow changes. modics type IIchanges are seen in the opposing endplates of L5 &S1.L5-S1 intervertebral disc shows disc desiccation and annular tear.there is diffuse disc extrusion which along with thick ligamentum flavum indents on the thecal sac posteriorly, narrowing bilateral lateral canal and neural foramina( more on right)encroaching upon traversing nerve roots at this level (more on right). facetal arthropathy is seen at L5- S1 level.kindly suggest. protrusion at other discs. Normal appearance of the facet joints. Normal thickness of ligamentum flavum. Normal appearance of conus medullaris & vertebral bone marrow. No bony spinal canal stenosis. No pre or para spinal lesions. CONCLUSION: Flattened lumbar curve...muscle spasm. Mild diffuse annular bulge of L4-5 disc with small annular tear mildly compressing ventral & ventrolateral aspects of thecal sac and exiting nerve roots at both sides. Mild posterior bulge of L5-S1 disc mildly indenting exiting nerve roots. kindly advice me some better therapies or other treatment. My child cracked her vertebrae l5 to s1 in December.she is recently suffering from very weak legs. I am faheem ..and by profession i m a soldier..i have also pain of l5 s1 about 4 months.i feel pain in my low back and right leg too..kindly advice me some better therapies or other treatment. L5 S1 Disc Sequestration- one of reasons is improper and stressful life and Gym in such situations or Traumatic incidents. The weight you carry, 70% is taken by your muscles and only 30% by bones. With Stress and physical weight, your nerves go weaker and needs to be managed well. And if sequestration is more, the disc semi liquid may fall on your leg nerves, which will carry pain to your left or right leg creating numbness or tingling sensation. 1. Take proper rest everyday and if pain is unbearable take complete bed rest (approx 3–4 weeks, till you feel better) . Pain killers initially is fine, but don’t continue for long, as it may damage internal organs. Drink lot of fluids(water) to reduce gastric issues. 3. Keep doing yoga or back stretching exercises as suggested by physiotherapist. Therapies like** IFT and Ultrasound help to relieve strain**. 4. light weight oil massage on back will help gain temporary relief. Don’t put heavy pressure, it may generate strain. 5. Don’t sit for long hours, keep walking(but avoid walking on roads, use footpath). Right Sitting postures should be learnt. your legs should be leant forward when sitting and dont cross the legs. 7. Eat a lot of proteins rich food like Almonds, eggs, fish etc. It will help build muscles, but yoga and exercises are important. Note: Your whole body goes weaker with spine related injury, take each physical action with care. I was considering a Incrediwear back brace for my L5 disc protrusion while waiting for surgery, do you think the brace would ease the constant pain? i am just 22 year girls.my m.r.i report noted disc bulge at c4-c5,c5-c6,l4-l5 and l5-s1 levels. how can i get relief from its pain? treatment? physiotherapy is not working. it have not any medication to cure? can i hope for my healthy future? My s1 is shot minimal cushion. Pain is awful. I'm in Healthcare I know what excessive pain is. I've already had 2 surgeries. A microdiscectomy and a fusion. Plus 16 esi injections and my 2nd ablation is in a few weeks. The pain is a10 out of 10 right now. My l5 S1 has little or no cushion remaining, the pain is constant,i stretch and walk each day, I'm trying to lose 30 pounds to relieve some if the pressure in my spine,this is difficult to achieve especially in the winter months, I'm scheduling a bilateral injection then an ablation,thus is my last hope, 2 surgeries in and I'm against further surgeries since it would be tricky and the pain is excruciating no matter what meds I was given, any comments is appreciated. Ty.. There is a place in rajasthan. Where the treatment is very effective because I got recover back. that place is degana, village -pindiya, person name- bhawar singh. I think he is a master of treating back problems. 20-30 decompression sessions !!!! Yikes !!!! That's $25 co-pay per session for me. i am sanjay mohapatra, by profession i am a storekeeper & me also suffering in LS-S1 disc.from last two months i have back pain.My problem is as follows. Diffuse bulge with right paracentral protrusion of L5-S1 IV disc compressing thecal sac contents & mild right neural foraminal narrowing.So please advice me for permanent tratment. I had a herniated disc, not sure which L number it was but I had surgery to get a Wallis device fitted. Instant relief, no more back pain or sciatica. Before the surgery I tried physio techniques and acupuncture. All short term fixes used with medication to mitigate the pain but never dealing with the issue. The Wallis device has gave me 10 of being relatively pain free, however, running, sports, any kind of squats, stomach crunches are out the question so in the 10 years since it was fitted I've piled on 40 lbs and pain is returning with sciatica in the opposite leg. It's one of a few interspinous devices and not all are perfect but worth looking into. thank you everyone for sharing your experience. it really helped me today to get through the morning pain. What I've learned from you is to stay positive and disciplined in doing the exercises, walking through the pain, and lead a healthy lifestyle. i know i can do it and get through this just like you did. I have all these symptoms from the bowel problems to the weakness of my left leg. I have had these symptoms for almost 5 years now and it's gotten a lot worse in the last year I have a Dr appointment this month and I have no idea how to talk to my Dr about this. Any help would be a great help. 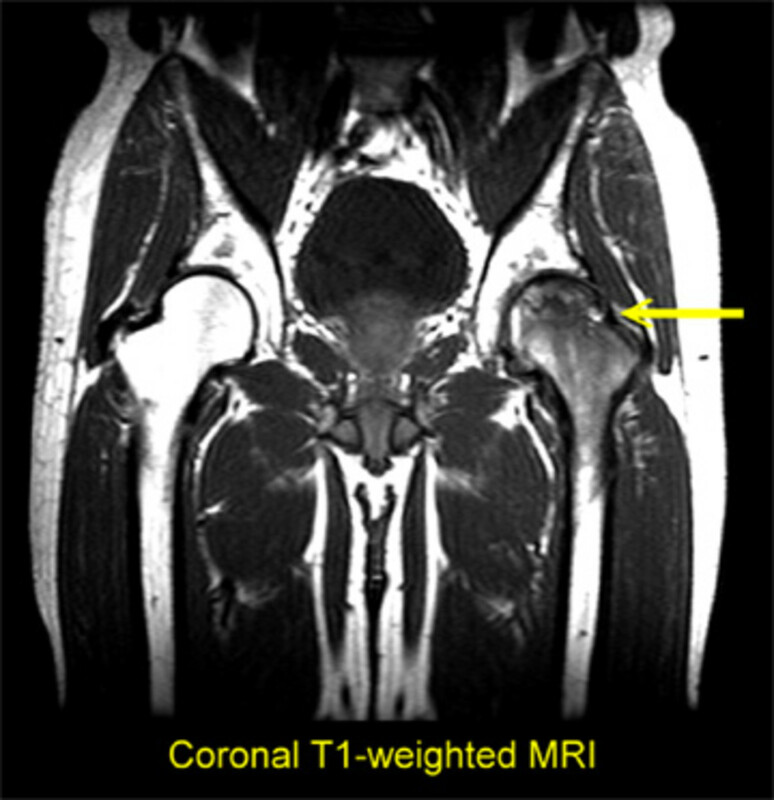 We should get MRI if pain occurs more than two times. i suffered a major extrusion where my disk tore 17mm and the nucleus stuff squeezed out and bulged out 12 mm. I used a chiropractor twice a week for 3 months before i could go back to work. it will be a slow process of heeling because discs have no blood supply only through walking alot, heat packs and chiropractic can you speed up the heeling process. Physiotherapy was only helpful through educated stretching the muscles 3-4 times a day around the area to keep the joint mobile. It took 5 months for me until the pinch came off my left leg. Avoid sitting down and try to remain standing up or laying down to rest every now and then to give the disk a rest. It takes alot of patience and not bending or lifting things. Dont opt to get surgery unless a 6 months goes by with no improvement because if you can heel the disc after 14 months i had no symptoms and i recovered and had no symptoms at all to remind me that i had done it. surgery should be your last option because if you fuse your spine it will later on cause trouble with the discs above and wear out your spine quicker due to the joints needing to work harder to make up for the movement and cushioning you lost from the fusion. From what I have read and understand, most l5 s1 herniations will heal IN TIME. I have read some people taking up to 18 months to get back to where they were and there is a good chance you will not ever be back at 100% but most as I understand get to 90%. All we can do is physio/walk, treat your body with a lot of care as it is healing. 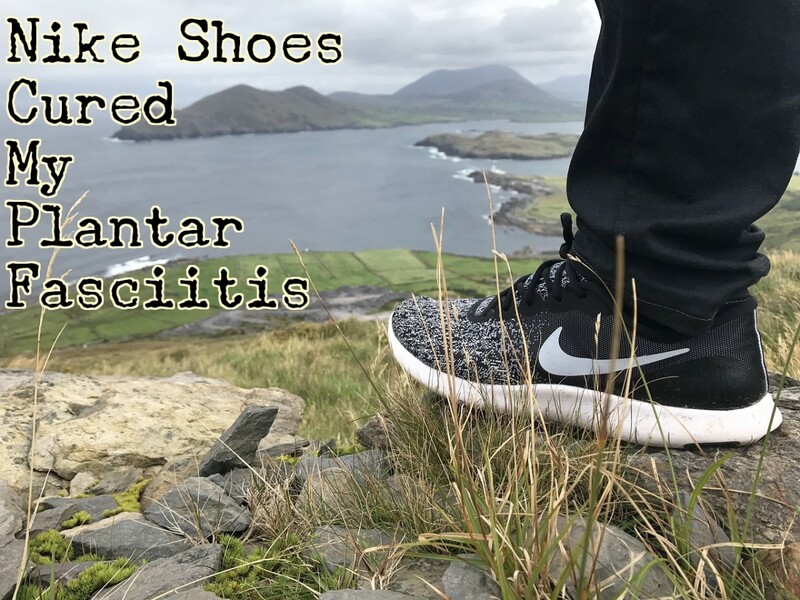 I am 3 weeks out from a severe l5 s1 herniation impinging on my siatic nerve causing numbness and some loss of strength in my calf, outer foot and sole. In 3 weeks, just now I can start to barely move my little toe. It's a long road and with physio, both at home and in setting, healthy diet and lifestyle as well as a little luck, we may get back to where we were or very close to it BUT it may take a year. Look at little things, positive changes as progress and build off that positivity. Mind set is crucial in recovery IMO. I am suffering from L5S1 Central disc protrusion . Shown to many doctors and physio & still there is no improvement. Thanks for the knowledge sharing post. I loved reading this lens. A Spinal disc herniation is a medical condition affecting the spine in which a tear in the outer, fibrous ring of an intervertebral disc allows the soft, central portion to bulge out beyond the damaged outer rings.The majority of spinal disc herniation cases occur in lumbar region (95% in L4-L5 or L5-S1). 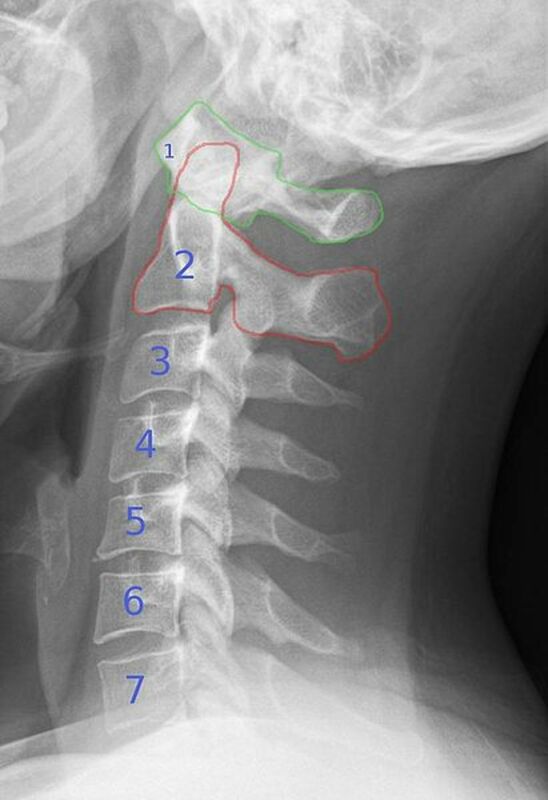 The second most common site is the cervical region (C5-C6, C6-C7). The thoracic region accounts for only 0.15% to 4.0% of cases.